The Club welcomes all new and experienced bowlers who wish to try out or continue participation in this enjoyable sport. The Bowling season is from mid April to the end of September and Members can access the green at any time during those months. Competitive and friendly matches against other Clubs take place during the week. 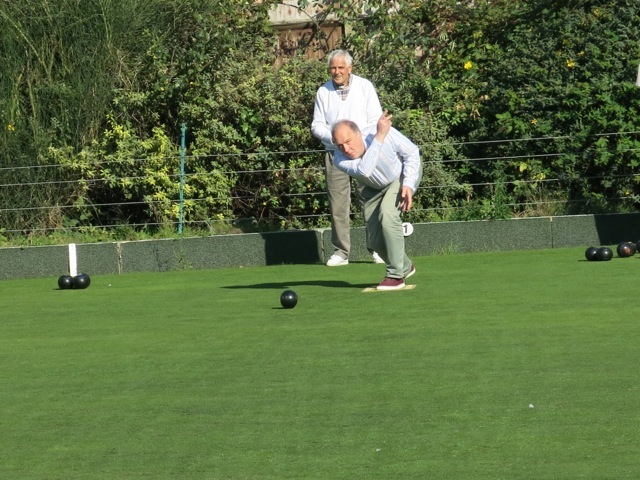 During the season, there are introductory bowling sessions which can be booked by email: honpresident@westlondonbowlingclub.com. New bowlers will be given free coaching from experienced players and can then learn more and improve at their own pace. Flat soled shoes must be worn on the green. For casual ‘roll ups’ there is no dress code and you can bowl barefoot. The Club will provide bowls (woods) for new players trying out the sport.